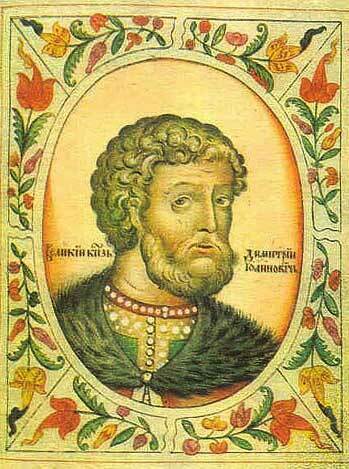 Dmitri Donskoi, whose 30 year reign from 1359-1389 as Grand Prince of Moscow and Vladimir was notable for many things but the most important was when he stood up to the Mongol’s of the Golden Horde at the Battle of Kulikovo. There, he defeated the army of Mamai which marked the turning point in the relationship between the Horde and Russia. While Mamai’s successor Tokhtamysh, invaded Russia and sacked Moscow, the stranglehold on Russia was broken. Now had this been the only achievement by Grand Prince Dmitri Donskoi, he might have made this list but probably not this high. His reign saw a doubling of the territories of Moscow as well as building the first stone Kremlin around the city. This stone wall prevented the Lithuanian army which placed Moscow under siege twice under Algirdas. When a third siege was attempted the two side signed a peace treaty to end hostilities for the moment. Born to Ivan II, also known as Ivan the Meek, Dmitri Donskoi was named regent when he turned nine years old. Effective rule over the country was in the hands of Metropolitan Aleksey. Over time, Dmitri settled disputes with other Grand Princes, especially Mikhail II of Tver. This unification of the princes and their solidarity with Dmitri Donskoi was a major factor in their ability to stand up to the Mongols of the Golden Horde. When Dmitri decided to try to throw off the yoke of the Mongol’s, it was at a time that the Horde was suffering through a civil war. Still, was he strong enough to take on his mortal enemy? Two other figures were to play an important role in Donskoi’s victory Prince Jogaila of Lithuania and Russian prince Oleg of Ryazan. Both were enemies of the Grand Prince of Moscow and had pledged to help Mamai destroy Moscow once and for all. The only problem was that neither made it to the Battle of Kulikovo as Dmitri Donskoi attacked Mamai ahead of their arrival. There are certain turning points in history and this was one of them. Had Donskoi held back his attack and allowed the armies of Lithuania and Ryazan join up with Mamai, we would have a far different history of Russia to recount if Russia would have survived at all. There would be many who would have moved Donskoi higher on the list because of this, but I feel that other Russian rulers had bigger influences on the country. Still, I struggled mightily on where to put Dmitri on my list.